Seen at the tennis courts on the Boston Common yesterday. I can't help thinking of bubbles! funny! I'm sure there is a pun in there somewhere; 'hanging' and 'courts'. It was so hot...How hot was it? 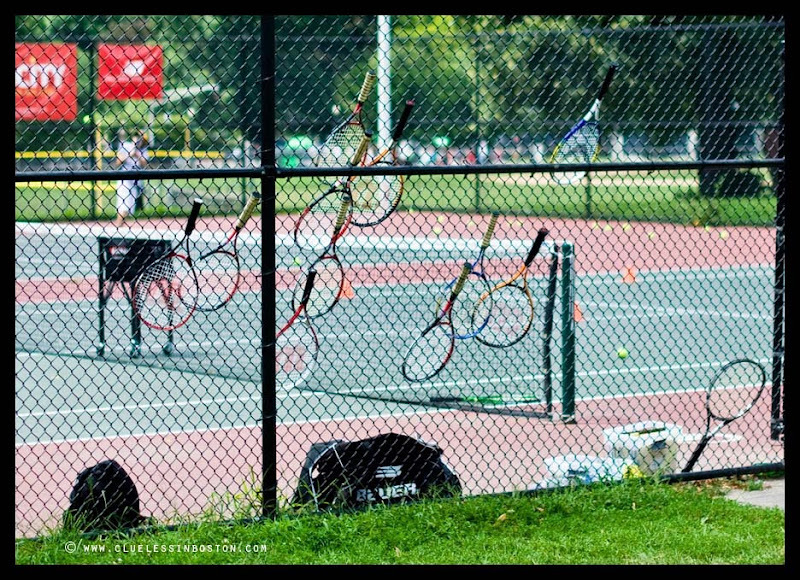 It was so hot even the tennis rackets lost their grip. They look a little lonely! ... and I thought someone was raising a 'racket' over there! hahahahaha! :-))) I thought someone threw them in the air and you caught them mid-fall.